FIAC S.p.A. has been active for many years on the international market, characterised by a dynamic evolution in which the customer, with his requirements and expectations, is the centre of attention. It is through the customer's satisfaction that FIAC intends to increase and renew its products, at the same time as maintaining its characteristics of creativity, flexibility and adjustment to the market requirements. The type of organisation adopted by FIAC, to ensure the continuity of the quality of its products and its overall organisation, answers to patterns which require the company to check and measure its own performance for continual improvement. All levels of the organisation are involved and the aims and results thus obtained are shared throughout. FIAC on your iPhone and iPad! Download FIAC app from the App Store to have our catalogues always at hand! 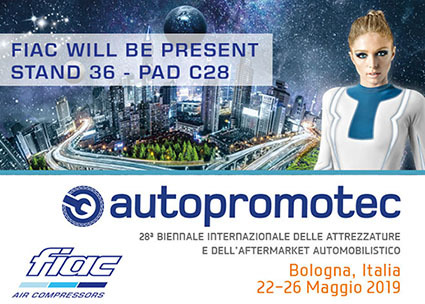 Fiac Air Compressor will be present at Autopromotec 2019! Come and visit us at Hall 36, Stand C28. The main European trade show gathering all automotive aftermarket product groups under one roof: from tires to car service, from workshop equipment to spare parts. 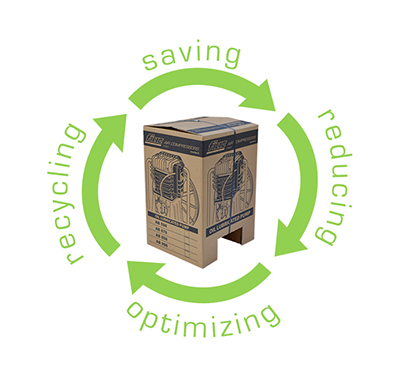 Your air compressor can be kept in service for much longer periods at high level of efficiency! Fiac Air Compressors PERFORMANCE PISTON OIL provides effective protection of internal metal surfaces from corrosion and prevent the formation of carbon deposits and laquer on pistons and valves crowns! This special Awards celebrate dedicated people, and innovative projects and ideas that take Fiac Air Compressors much closer to fulfilling our environmental and ethical objectives.